Our homeware department is a huge part of our store. We have high quality items at very reasonable prices. 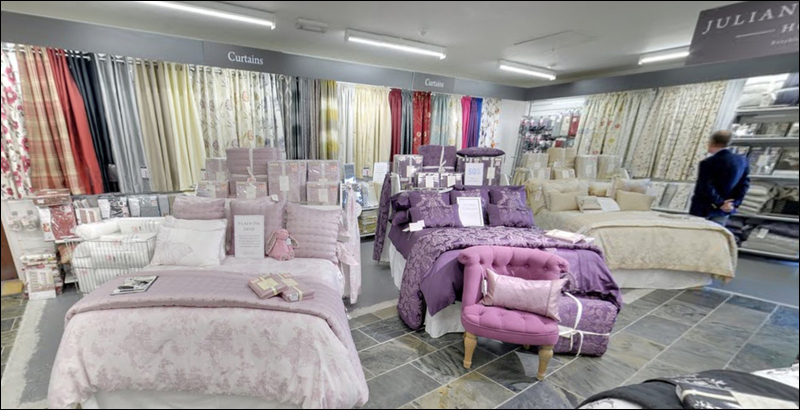 We have Bedding, Curtains and Sheets in our Julian Charles Bedding department. As well as top quality brands in our cook shop department, a large brand we work with is Stellar, which most of its products are endorsed by TV Celebrity Chef James Martin. This is of course only to name a couple of our brands, you really have to come into us to see the vast majority of products. You can view below some of the companies we work with.